Something I’ve always done is reward myself for hitting major milestones and goals along the way. It’s really important, guys, that if you’re setting huge, audacious goals, that you reward yourself for those milestones along the way. It can be anything from a cup of coffee to a diamond ring—whatever is in your budget. One of the things I love is these beautiful bracelets by mantra band. They’re affordable—starting at $25 and they are a wonderful way to remind and reward yourself of the goal you’ve set and/or achieved. Mantrabands are a wonderful way to look back on a memory and remember all that you have achieved. Last year, as some of you know, I shared a secret on the Tedx world-stage, so I bought myself a ring that I call my “Courage Ring”. Every time I look at that piece of jewelry, it reminds me of how far I’ve come, what I did, and how brave I was. 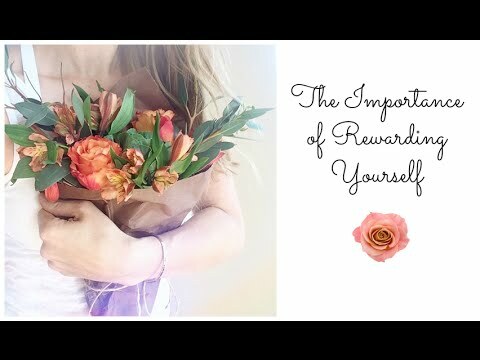 So, what is it that you do to recognize and reward yourself? I’d love to hear from you. Facebook us, tweet us @KirstyTV, #KirstyTV and #Mantraband. Let us know what it is that you do to reward yourself or remind yourself of all it is that you’ve achieved.